Back in the summer of 2017, my family took a vacation out west to Wyoming (more about this trip can be read here and here). It was on this trip where I had first seen the Brookover Gallery in Jackson, Wyoming. 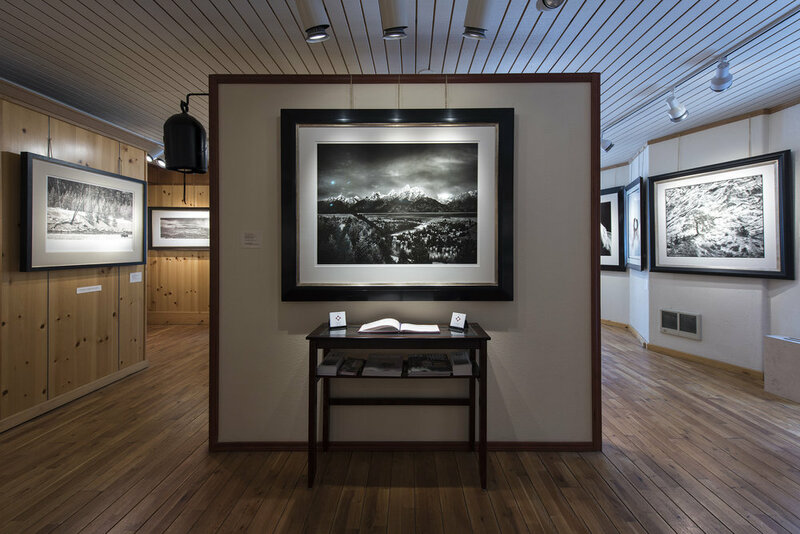 A beautiful gallery full of large black and white landscape photography, I found myself truly in awe from the moment I walked in. This two-story gallery features some of the finest landscape photography in the west, as described by many of the visitors. Wood floors, calming music, beautiful imagery, and no pressure to buy anything makes this gallery a beautiful stop while in the area. Seeing this gallery further cemented my dream of having one for my own work; knowing that it was possible to make a living off photography in this way excited me. However, I had no realized just how much work goes into running a gallery. As I had interviewed David Brookover after having visited his gallery last year, I figured he would be the best person to ask. 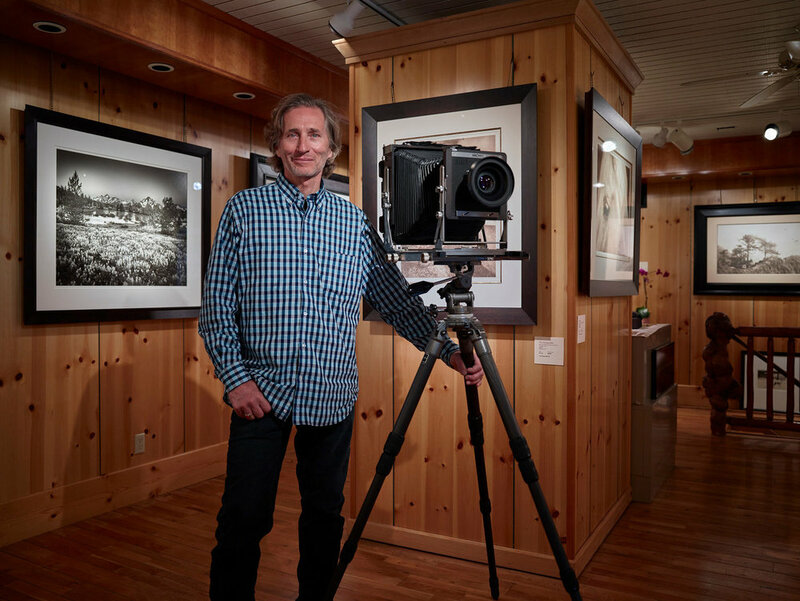 It was in the 90’s while working for Fujifilm, traveling extensively throughout the United States, when David had begun to notice privately owned galleries being opened in high-density tourist destinations. Most of these – especially those that stuck around for longer than a year or so – were of local scenery and wildlife, shot in black and white. Few showed any color photographs. This had sparked a fire within him, making him think that he should begin producing art for the future which would be capable of being shown large, with exquisite tonality. As he was – and still is – shooting with an 8x10 field camera, creating photographs with tons of detail and beautiful tones was little issue. Using 8x10 film also guaranteed that images created when he first started would have the same detail as those created twenty, forty, even one-hundred years later, if taken care of properly. Getting noticed as a gallery took some time, but setting up in Jackson, Wyoming surely helped. Having fell in love with the area during his first visit in 1975 – and further falling in love when coming to photograph the area in the 80’s – he knew that it was the place to be, watching it grow into a two-season art center. In order to distinguish himself from the other galleries in the area, he chose to display works taken while living in Japan the previous fifteen years. As word got out about his beautiful work, he slowly began adding more images that were taken in the area. However, this was a very slow and thoroughly thought-out process so as to not overwhelm the visitors and completely change the look/feel of the gallery. What further distinguished his work from others was his use of an 8x10 field camera, as mentioned previously. With each image being printed large – at around 40x50 or 44x56 sizes – it did not take long for people to notice the immense differences between the 8x10 negatives shot by Brookover and the 35mm negatives taken by competitors. Finances for Brookover were not filled with much grief either, as he had prepared for this for a long time. Having already had shows in Japan, he knew what to expect on some level: what clients to target, what they like/dislike, how much he could charge, etc. Add in that he had over fourteen years of work to draw from when planning the gallery and what images to show, he did not have to scramble for new work unless he truly wanted to. Regardless of the preparation, having yearly expenses of $200,000+ could easily become overwhelming. In order to be able to create new pieces for the gallery each year, David relies heavily on the busy tourist season in Jackson. With more than 2.6 million visitors annually, there is little issue for selling enough to cover the expenses, along with enough profit to live and travel comfortably for close to six months out of the year. While the gallery is open year-round, most people visit in the summer months from May until October, before the winter months really settle in and make traveling rather interesting. This means that the major bulk of the $200,000 must be made within this six-month period. Being there at the gallery to help explain to potential clients more about the image definitely helps. Breaking the finances down a bit, this means that each month, the gallery must bring in roundabout $35,000. If Brookover manages to sell ten prints a month – something that does not sound all that unreasonable for someone who has owned a gallery for seventeen years now – that means he will be selling each print for around $3,000 each. For a 40x50 hand-crafted, limited edition print, that is an amazing price, especially given the high quality of the works. And even though the photographs shown in the gallery have been exclusively black and white since 2008, he has had no difficulties in selling. Looking at the history of photography, color work has only recently considered to be art, unlike the historical collection of traditional prints dating back to Alfred Stieglitz, Edward Steichen, Paul Strand, and many, many others. “The real question is, do you think it’s possible, and are you willing to work 60+ hours a week? Do you have truly unique work and how long have you been in the profession? I’m often asked this question by an aspiring photographer’s biggest fan i.e. his/her parents, boyfriend/girlfriend, relatives, etc. but rarely by the photographer themselves. When I start asking them, I find that most are only dreaming because they think it’s a romantic life full of travel/fame and golden sunsets. Social media has destroyed many avenues due to an over-saturation of images, so one has to be very clear on what they expect and whether they want to climb that hill. Pick an area that can support your dream and then give it a go, if and only if, you’re willing to lay it on the line.